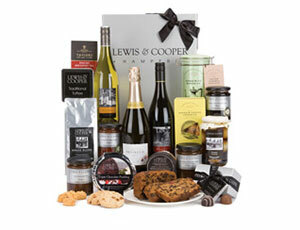 The Lewis & Cooper Royal gourmet hamper represents the ultimate in luxury ready-made hampers - it is indulgence on a grand scale! The hamper contains a wonderful selection of foods, including pheasant pâté, tapas charcuterie, crackers and biscuits, olives, jams and preserves, coffee, sticky toffee pudding, iced fruit cake and much more, plus champagne, port and carefully matched red and white wines. 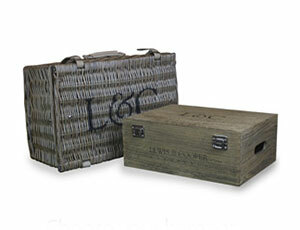 This hamper is presented in a large willow trunk with rope handles and finished with 2 sheets of L&C tissue paper and gift tag for your personal message.